Holly Shipp Buchanan's 1990 oral history interview took place at the middle of her career, and in the ensuing years her professional path has taken dynamic new turns. Holly is now Associate Vice Provost for Knowledge Management and Information Technology and Director of the Health Sciences Library and Informatics Center, University of New Mexico Health Sciences Center, Albuquerque. Prior to this position, she served as Director of Libraries at the Medical College of Georgia in Augusta. Areas of special interest to Holly include benchmarking and total quality management. She focused on the latter topic in her doctoral dissertation for the Ed.D. degree, earned in 1994 from the University of Louisville. Holly grew up in Louisville, Kentucky, and in Tennessee. She majored in biology at Georgetown College in Georgetown, Kentucky. After initially considering medical school, she faced a choice between graduate programs in anatomy or ecology. She went home to Louisville the summer of her junior year, and during a session with her longtime hairdresser, she discussed her summer job search ("I had clipped poodles for a couple of summers… I wasn't going to be involved in doing that again.") Mary White, Director of the Library at Norton Medical Infirmary, later mentioned to the hairdresser her need for a student worker - and so began Holly's career in libraries and a rewarding relationship with mentor Mary White. After graduation, Holly took a full-time position at Norton, and was soon offered leave and financial support to attend the library science graduate program of her choice. 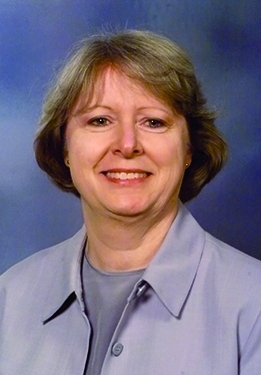 She selected Emory University, and earned her Master of Librarianship in 1973. 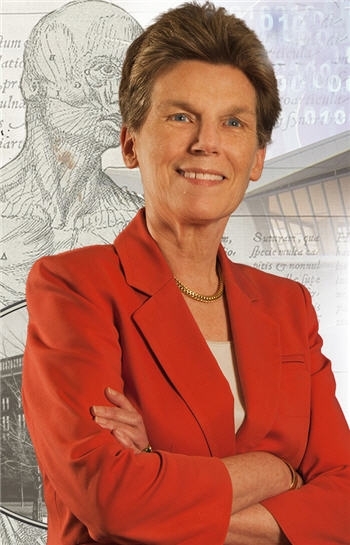 On her return to Louisville, she became Director of the new library produced by the merger of Norton and Children's Hospital. 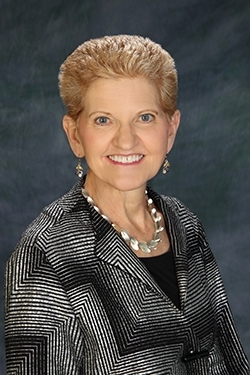 In 1983, Holly received a Master's of Business Administration, which figured into her promotion at Norton Children's to Information Director of Corporate Information Resources. This position involved responsibility for the library, media production, and data processing functions such as payroll, billing, and patient information. During her tenure at Norton Children's, Holly shaped the lives of several librarians through mentorship - so many of Louisville's library directors are former employees that Holly joked, "when I've been feeling very pessimistic I've wondered why I had to be the one who was training all the hospital librarians in the city of Louisville!... I'm very pleased at their development and their progression…They have been successful with their career paths." In 1989, Holly herself moved on from Norton Children's to pursue new opportunities, including a Doctorate in Education and a transition to academic health sciences libraries. Holly's service to MLA began in 1978, when she became Membership Chairman of the Hospital Library Section. She was also on the Continuing Education Committee, two National Program Committees (once as Chair), Chairman of the Hospital Library Section, and Section Council Chairman (1981-84). She observed the empowerment of hospital librarians within MLA during the 1970s: "The first MLA meeting I attended was in 1974…the memories that I have are of hospital librarians really recognizing themselves as a group and wanting recognition overall as valid, contributing members of the profession. The 1970's, I think, saw an extreme amount of growth in the numbers of hospital librarians for one thing…But I have some remembrances of very vocal meetings at Annual Meetings and [of hospital librarians] threatening secession from the Association. We can laugh looking back, but I remember the times were very much filled with emotion and kind of a crusading feel in that group." Holly was chosen as President-Elect in 1986. In addition to being the youngest MLA President-Elect, she may also have been the first pregnant MLA President-Elect. When she walked into a meeting at 4½ months pregnant, board members showed some initial shock at the timing, but for Holly that year "was probably one of the most rejuvenating, challenging, energetic times that I'll be fortunate enough to experience." She reflected, "strategic planning is very much something that I remember from my terms of office…it was a very intense time within the organization, because while planning as we did it is energizing, it's also an opportunity to really stretch boundaries." Prominent issues during her term included the initiation of the credentialing program; a dues increase; the removal and reinstatement of the Exchange, an interlibrary cooperation program; and a push toward more decentralization and greater inclusiveness within MLA. While Holly highly values the role of MLA and other professional associations, success is truly measured in terms of the individual: "Any progress that's made, I still feel, is very much specific to the individual institution and to the dynamics - personal dynamics, funding dynamics, whatever - between the librarian and the administration of the parent institution." Throughout her career, Holly Shipp Buchanan has mastered the dynamics of myriad situations and continues to advance the profession.